Our owner is on every job with a truck mounted system and he is fast, friendly and detail-oriented. "ONE OF THE BEST carpet and upholstery cleaning companies in the Gainesville, Duluth, Alpharetta, Suwanee areas". High traffic areas get soiled very easily, especially when located near entryways into the house. We pay special attention to the areas of your home that have the highest traffic and might need the most care. Upholstery is probably something you've tried to clean on your own, only to find that spot treatments leave spots! We can clean your chairs, sofas, and drapes with care and ease, making your décor appear like new. Water damage and fire damage are also situations we can help you with. Our expert water extraction and smoke removal processes will help you eliminate mold and mildew, and destroy any unpleasant odors. At BB's Carpet Cleaners, we're dedicated to your complete satisfaction. Our owner is on every job with a truck mounted system and he is fast, friendly and detail-oriented. We're proud to offer you the latest in cleaning machinery and technology. Our cleaning agents are safe for your family and pets, as well as allergy sufferers. BBs Cleaning uses safe and effective green cleaning products from Planet Guard, including the 100% detergent free Carpet Cleaner/Rinse, the Traffic Lane Cleaner that cleans without using synthetic chemistry, and the Degreaser Cleaner that cuts through the heaviest greasy soils without the use of solvents or detergents. 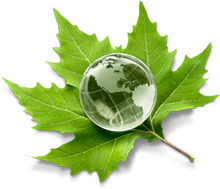 Every process used to create Planet Guard products has a minimal impact on the surrounding air, water and land. Buford,GA - February 01, 2018 — BB's Carpet Cleaners has been selected for the 2017 Buford Small Business Excellence Award in the Carpet Cleaning classification by the Buford Small Business Excellence Award Program. Various sources of information were gathered and analyzed to choose the winners in each category. The 2017 Buford Small Business Excellence Award Program focuses on quality, not quantity. Winners are determined based on the information gathered both internally by the Buford Small Business Excellence Award Program and data provided by third parties. The Buford Small Business Excellence Awards recognizes outstanding small businesses that serve the Buford area. Each year, our selection committee identifies businesses that we believe have achieved outstanding marketing success in their local community and business classification. Recognition is given to those companies that have shown the ability to use their best practices and implemented programs to generate competitive advantages and long-term value. These are small businesses that enhance the positive image of small business through service to their customers and our community. These exceptional companies help make the Buford area a vibrant and vital place to live. The Buford Small Business Excellence Awards was established to reward the best of small businesses in Buford. Our organization works exclusively with local business owners, trade groups, professional associations and other business advertising and marketing groups. Our mission is to award the small business community’s contributions to the U.S. economy. Our services range from standard to emergency full-service, from carpet, and upholstery care to water extraction control and repair. We now also offer Pressure Washing, Air Duct Cleaning, and Tile & Grout Cleaning. Call today to find out more about our services! BBS Carpet Cleaners GOOGLE Reviews! View ALL BBS Carpet Cleaners Reviews! Excellent Service, Professional, & Affordable! Sergio was fantastic. He came out same day and did an amazing job. My carpets look new and he got all of the stains out. We are so impressed with his work and will definitely use him again. Thank you Sergio!!!!!!! Called and needed same day service. THEY MADE IT OUT IN LESS THAN AN HOUR AND A HALF. They worked super hard to get some stains out. When dried realized still needed a TINY bit more work but couldn't have known until dried I called them back and they came and fixed the problem RIGHT UP. THANK YOU GUYS!! Great customer service!! Outstanding service! Had our Berber carpeting cleaned to perfection by Sergio, the owner! No hidden costs just good honest value. Upfront pricing which is typically below the national brands but superior results in every way. Sergio delivers! I've tried every carpet cleaning technique available, but Sergio's truck mounted system beats them all hands down. I have finally found my carpet cleaner! If you searching for a carpet cleaner you are on the right track Sergio is excellent very professional... si andas en busca de alguien que limpi tu alfombra Sergio el indicado muy profesional. recomendado al 100%! Sergio was as advertised. Professional, prompt, courteous, and reasonable. He also did my stairs and everything looks great! I would use and recommend this company for any services they provide. Thank you Sergio for the good job you provided. I will be calling you for the next time I have my carpet cleaned! BB's Carpet Cleaning did a great job. I am thrilled with the quality of the carpet cleaning, the prices, and most of all Sergio's delightful customer service! My dogs run havoc on the carpeted areas - he recommended some great cleaning products to get the mess out and they look and smell incredible! Sergio was very professional and extremely polite, you know he's very passionate about providing excellent service. He even was kind enough to catch a lizard that got inside (life saver haha)! I'll be recommending him to my friends and clients! I got my carpet cleaned last week and I must say he did a great job. My dog had a accident on the carpet and it was pretty bad, needless to say he got that stain out and any others. My mom talked about how friendly and informative he was, she made sure I didn't forget to give him a great review. I will be using this company from now on and taking every other one out my contact list. Thanks again and job well done!? Very professional, prompt, and reasonable. Have called with routine matters as well as emergencies and have always been dependable and personable. Sergio did an amazing job. Very personable and knowledgeable about his job. He explained everything clearly and gave us pointers on how to keep the carpet cleaner longer. We will be calling him again for our next cleaning. Sergio was prompt courteous and did an amazing job!. Sergio is knowledgeable but not pushy and his prices are absolutely reasonable. We have 4 dogs and 3 cats so cleaning our 3 main rooms was quite a job- the carpets look and smell great. He also did my stairs which have 13 year old carpet- they look wonderful! If you want a great clean, great service and a great price- this is your guy. This is the second time Sergio has been over to clean my furniture. Both times he has done a wonderful job. He is on time, does great work, and has reasonable prices. Will definitely use him again. Sergio and his brother came out this Saturday morning and were in and out within 1 hour. We live in a 3 story town home. The carpets are super clean. BBs Price can fit any budget, I personally think Sergio charges too little for such a Wonderful Job (I made sure and tipped him what I believe his work is worth). BBs has lifelong loyal customers with my Wife and I. We highly recommend. Jos Luis and Rosa, Suwanee Station Townhomes. Sergio did a great job cleaning our carpets. He also did a repair job in the basement that made a big difference. Would definitely use him again ! Sergio provided us with a great explanation about the condition of our carpet and how he would go about cleaning and stretching it. His knowledge and expertise was very apparent. We felt that he genuinely wanted us to be happy with his service and we were! Great quality, customer service and convenience at a fair price. Sergio is the best in the business! We have used other carpet cleaners before, but no one compares! He is prompt to reply, prices are amazing, and the service is impeccable! Great results on a carpet that I thought was not save able, and he does it with a smile! Would give 6 stars if I was allowed!!! Support the "little guy" instead of one of the mega guys and support your community!!! If you are looking for great customer service & a quality cleaning, look no more! Sergio was punctual and efficient, our carpet looks like new. Sergio did an AWESOME job cleaning the carpets in my apartment when I moved out. The carpets were heavily stained (thanks to over 2 years living with dogs) and they were beautiful when he left. He was on time and quickly went to work. If you need your carpets cleaned, call B&B Carpet Cleaning...you won't be disappointed! First, Sergio was one of the only carpet guys we called that actually returned our call. He was on time, called us before he arrived, explained how he would do the work (we needed carpet stretching) and charged a reasonable price. I would definitely recommend him. Second time for Sergio to do our carpet. He is very professional and very fast.Very reasonable as well. Our carpet is 28 years old. You can imagine it is not perfect. He did an amazing job. We are about to move and we will replace our carpet for new owners. He will do this also. My old carpet now looks like new. Sergio warned me there were stains hard to remove. Next thing to what he did would be buying a brand new carpet. Thank you! I called BB's based on the review I found here on Kudzu and was not disappointed. I needed carpet in two rooms stretched and cleaned. Sergio was on time and did a wonderful job. He also cleaned a couch and love seat that a long haired cat had made her favorite place to sleep. They look great. I would recommend him to all to all of my friends! Sergio has been cleaning our carpets for a few years. We have a Great Dane, and when you have one of those, you MUST have a GREAT carpet cleaner. We've had a few disastrous "colon" episodes whereby we considered replacing the entire carpet in our home a couple of times. Every time we call Sergio, he's here and he does an amazing job. Like new. He's super nice, works hard, and his prices are fair and reasonable. I have Sergio on speed dial! He is by far the best! My carpet has been cleaned by BB's Carpet Cleaning for 2 years. Service is prompt, courteous and thorough! The job is green, clean and I recommend to anyone in North Atlanta! We were in a time crunch, and Sergio pulled thru for us. Would highly recommend to anyone!! He was very professional and on time. Not to mention our 7 year old carpet look basically new by the time he was done. Sergio saved my carpet! Literally, he saved my carpet! Absolutely wonderful job! Very nice, easy going person and at the same time so professional, what an excellent work you did in my carpet! Thank you, Sergio. He was very professional and considerate. He went right to work on a 20' X 20' wall to wall carpeted room and steps. I believe he looked for difficult areas before starting the job, but there were 2 areas left with spotting after he cleaned them with the steam cleaner. I was able to remove the spotting with a standard carpet spot remover product after he left, so these were not permanent stains. Overall the room smells much fresher after his job, so it was a benefit to have his service, but I advise you to review all spot/stains with him before he starts cleaning to ensure he meets your expectations. Carpets were heavily soiled after renters left. Sergio was able to remove the stains and carpets look fantastic. He is professional, efficient and does a great job. Thank you! Sergio was VERY fast and VERY professional. We chose BB's because they are BBB accredited (rare in Atlanta). Highly recommend - they have the right equipment and know how to do the job right! Sergio did a great job. He was at my house an hour after I called. He was extremely professional and the carpet looks great. We Were hesitant to try a carpet cleaning service but very pleased with the service of BB's Capret Cleaners. Sergio is great! A ton of energy, very pleasant & did a great job on our carpets. We will definitely be using this company on a regular basis. I got 4 quotes at $79, $99, $129 and $189 to clean 2 cloth full size sofas and a recliner. Because this company was local and had many solid reviews, I chose to pay more hoping for the outcome I wanted. I got exactly what I was looking for, extreme clean! The owner took the time necessary to detail every inch of the furniture and it looks better than I expected. He did a thorough job. I also had 4 area rugs cleaned and paid $99, which was competitive in price and they look great too! The best part was the outcome of the job but I am also supporting small business and my local economy. Sergio just came and cleaned two sofas for me. They were very soiled from the dogs. The look like new! Sergio was on time and very effecient! BB's carpet cleaners did a wonderful job! Thank you Sergio!